Founded in 1919, Bentley Motors Limited quickly established a name for itself as a manufacturer of technically advanced yet durable cars, aptly demonstrated at numerous racing events. Multiple successes at the 24 hours of Le Mans cemented Bentley’s reputation as a preeminent luxury sports car brand. The company has certainly had its fair share of ups and downs, but it has prevailed through it all and is celebrating its 100th anniversary this year. Continuing its year-long celebrations, Bentley will be heading to the 2019 Shanghai Auto Show with a number of vehicles that will be shown to the Chinese market for the first time. Among them are the third-generation of Continental GT and GT Convertible grand tourers, the Bentayga Hybrid and the limited-edition Mulsanne W.O. Edition by Mulliner. Only 100 of these special cars will be built and key features on every W.O. 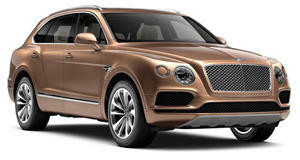 Edition include a color split interior cut from Heritage Hide, elegant body-colored wheels and a handcrafted cocktail cabinet in the rear, featuring a slice of a crankshaft, from one of the most prestigious classic Bentleys of all time, set into the armrest. 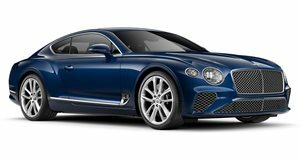 His engineering philosophy and dream to build some of the world’s finest cars has endured in cars like the new Continental GT, a supremely capable luxury grand tourer which is equipped with a 625 horsepower twin-turbocharged W12 6.0-liter engine capable of 207 mph. The Shanghai Auto Show opens its doors to the public on April 16.